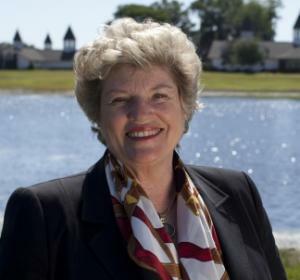 With over 36 years of unparalleled expertise in Ocala Horse Farms, Equestrian Estates, Luxury Homes and Land in Marion County real estate, Joan Pletcher is legendary for her integrity, passion, and relentless commitment to deliver results for her clients. Joan places her Clients needs, interests, dreams and desires at the center of everything she does. It’s humbling for Joan to hear how her clients describe her work…. “……She has the highest level of professionalism and integrity….she will be there after the sale and for many years to come as a friend and neighbor…….” ” It’s not just a transaction to Joan……it’s all about a relationship.” ” Joan has the heartbeat of Ocala……she is The Trusted Expert.” ” Joan delivered exceptional service before, during and after the sale….with her unmatched network in the community.” Joan’s ultimate joy and success come from matching her clients with perfect equestrian estates, Ocala horse farms, and major parcels of Ocala land. This unique skill has distinguished her in the Ocala market. A passion and love for horses, land and development have been a hallmark in her life since childhood. Born in Little Rock, Arkansas, Joan’s Father was a builder and developer. He would buy several hundred acres at a time where she could indulge in her obsession with raising, training and showing horses, while learning all about the business. Joan launched her real estate career in her home state and still maintains her licenses in Florida, Arkansas and Texas. While living in Arkansas, Joan met the love of her life, J.J. Pletcher, a Thoroughbred race horse trainer. They married in 1981 and continued their life long passions together as a team. In 1985, the Thoroughbred business brought them to Ocala. They designed and built CB farms, an $8 million dollar Thoroughbred Training Center. For the Pletcher’s, horses, farms, training centers, and land are a Family Tradition. They are the proud parents of Todd Pletcher. He has won seven Eclipse Awards, three U.S. classics, three Canadian classics, 10 North American earnings titles and nine Breeder’s Cup Races. He carries the titles of 15 time Leading Trainer for Gulfstream, 12 time Leading Trainer for both Saratoga and Belmont and has won 4,133 races overall. In addition, Todd is the all-time leading money winner in the United States – over $300 million. Today, J.J. and Joan own a racing stable of about 15 horses, all of which are trained by Todd. They also own Payton Training Center, named after their first grandson, an 80 acre private training facility in Ocala where they break and train about 100 per horses. They love Ocala, the people and believe in giving back and making a difference in the community where they live and serve…..this is their home! Beautiful rolling meadows, Live Oaks and peaceful pond set the stage for this 197 +/- acres. This is a great location for a family estate, family compound, farm, or for development. Driving down the gently winding road you will arrive at the 5 bedroom, 4 bath brick residence. There is also a 7,400 +/- SF workshop. Location Great location just minutes from shopping, schools, restaurants, and medical facilities. 113.73 +/- Acres of Beautiful rolling land with high plateaus – Incredible vistas – Perfect home site – Perfect farm setting – Frontage on Highway 475. Close to the Florida Horse Park and the Marjorie Harris Carr Cross Florida Greenways and Trails. Located just minutes South of Ocala. Bring the horses or cattle property is perimeter fenced and also has some additional pasture fencing. Property is currently being used to graze cattle. Adjoining 105 Acre training center facility is also available. Income Producing Training Center for 14+ years. This is a fully equipped 22+/- Acre training facility located in Staring Point. Main residence Open Chef’s kitchen sports granite counter tops, stainless steel appliances plus tile back splash and opens to living room. Spacious living with stone fireplace, tongue and grove beam ceilings opens unto the lanai through sliding glass doors so you can enjoy views of the horses. In addition the family room features large windows for great natural light and opens on to the pool and lanai area. Spacious master suite features grand en-suite bath plus 2 additional bedrooms. To complete the package there is a dining area, office with private entrance and bonus room for use of your choice. Screened enclose lanai and sitting area plus screen enclosed custom pool and spa. Equestrian Features: There are 4 barns on the property with a total of 57-stalls, 9 tack room and a total of 7 apartments. In addition there are 21 paddocks of various sizes all with automatic waterers. Additional improvements include: workshop, security cameras, and three 30 yard dumpsters for the waste removal. Race track access include deeded rights in the 5/8 +/- dirt race track and riding trails. Whether your looking for your own training center or looking for income producing farm, this is one you should see. Also available for lease. Private and secluded Oak Haven resides 6 +/- acres with a custom built home. Beautifully updated kitchen and updated appliances is open to the dining area, family room and large indoor pool. There are lots of windows with natural light surrounding the enclosed pool area and separate Florida room making it perfect for family and entertaining. This home consists of 4 bedroom, 3 bath encompassing over 5,000 square feet of living area. Additional Improvements: A detached garage with separate maintenance room plus bath. Upstairs bonus room opens onto deck overlooking the rest of the property. Enjoy the waterfall, stream and pond as you sit on your paver patio or int he Florida room. Land is lush and green ready for your horses. 17.96 +/- Acres in Equine Estates is graced with Granddaddy Oaks and gently rolling hills. Property is perimeter fenced and ready for dream home or dream farm. Equine Estates is a gated, equine friendly community located just minutes from the Florida Horse Park and adjoins the Marjorie Harris Carr Cross Florida Greenways Trails. Florida Greenways and Trails These trails provides miles and miles of hiking, biking, and riding trails for your enjoyment. Santee Farm is located in the State of the training facility known as Eclipse Training Center. Ownership in the Eclipse Training 3/4 +/- mile racetrack with 7/8 mile chute, automated watering system and PVC safety railing. In addition the gated Training Facility was built with training and safety of the horse being foremost and entertaining your clients second. Equestrian Amenities: Extra wide stalls for the comfort of the horses which are stabled here, A/C office, tack room, lab room, covered free walker, 3 bay equipment building and round pens are just the beginning of the list of amenities. Furthermore there are 2 Barns- 36 Stalls – 2 wells – 2 septics plus 16 lush green paddocks. Living Quarters: Very desirable 2 bedroom home. Kitchen features: granite countertops, tile back splash, custom wood cabinets, hardwood flooring and opens to the living/family room. Family / living room features hardwood floors and magnificent views of the farm. Expansive master suite with sitting area Screen enclosed entertaining area sports, tile flooring, wood plank ceiling, plus beverage with great conversation/sitting areas. Separate 1/1 cabana with sliding doors that lead to pool area. The Finest in "Horse Country" Living! Location is only one of the many attractions to this 33.90 +/- acre Ocala horse property located in northwest Ocala known as Steadfast Farm. Main residence has the option of being 2 residences having 2 kitchens, 5.5 baths, family gathering room with pesky-cypress walls and fireplace, formal dining room, office, 4 bedrooms plus 3 bonus rooms and 2 entrances. Equestrian Features; Barn 1: Main barn features 10 oversized stalls, divided by large, covered open area for use as breeding shed or saddling - your choice. Tack room/studio apartment with full bath, feed room, plus half-bath in aisle, round pen and loading chute. 3/8 +/- mile grass conditioning gallop to star start your yearlings. Barn 2: 12-Stall CB barn with Eurocizer, feed and tack rooms. Barn 3: 8-stall barn with half-bath, tack and feed rooms. Additional Improvements 4-stall pole barn also has 220 amp hook-up. 1-car garage/workshop has 220 amp hook-up. Extra tall and deep garage has 10-foot roll-up door. Exquisite French Chateau Estate with Incredible Equestrian Amenities on 91.16 acres. Majestic landscaped grounds provide a private and peaceful setting for this estate. Secluded owner’s residence features 5 bedrooms and 4.5 baths. Chef’s gourmet kitchen is open to family room for family enjoyment. Formal dining room and formal living room plus media/library, and office enhance this majestic estate. Magnificent lounging area with bar area overlooking exquisite views of the waterfalls, bridges, and lakes. Private pool and spa are shared by Owner’s residence and the 2 bedroom guest home. The equestrian owner will enjoy their own private 10-stall show stable with air-conditioned office and tack room complete with a 1 bedroom /1 bath apartment. The barn features two air-conditioned rooms perfect for storing your prize carriages or automobiles. The dressage ring is located close to home. Additional 19-stall show barn, covered free walker and 60 ft. round pen are located close to the covered arena sporting mirrors, synthetic footing, lighting, irrigation and a luxurious visitors viewing room. Additional Residences: Manager’s Residence with guest home has private barn and storage building. Additional residences on the property include: (4) single family residences, (2) manufactured homes, (1) Triplex with (2) 2/2 and one 1/1 apartments. Additional improvements Additional barns on the property include: two superior quality show barns, six additional horse barns, air-conditioned lab, and a breeding shed. Furthermore on the property there is an equipment building with air-conditioned office, several storage buildings and garages. Lastly there is also a covered arena with viewing area with wet bar and ½ bath, (4) outdoor arenas, and extensive site improvements as well as four and five-board fencing, three 65 KW generators, and underground utilities and (8) gated entrances. 876 +/- Acres with desirable elevations up to 200′ and rolling green pastures. The large Oaks and groomed pastures add to the beauty of this magnificent parcel. Located right in the middle of horse country, this property is conveniently located close to HITS and also just minutes to Golden Ocala Golf and Equestrian Club. This property is perfect for building your dream home or the farm of your dreams. In addition there is excellent perimeter fencing with natural privacy, tranquility and abundant wildlife. There is an existing pole barn (equipment storage) and a metal pole barn. The land is a mixture of wooded ares, open pastures and/or hay fields. Road Frontage: Property has road frontage on three roads: US Hwy 27, Hwy 225A and NW 115th Avenue. Zoning: Zoning:This parcel currently has A-1 and B-2 Zoning on the land. Rural (Agricultural) land use. Prime 28.42 +/- acres in great NW location close to Golden Ocala Golf and Equestrian Club with beautiful building sites overlooking pond with magnificent sunsets. Property is perimeter fenced with existing well ready for your horses or livestock. Location! Location! Location! 247.58 +/- Acres of beautiful rolling land graced with magnificent Granddaddy Oaks. Conveniently located across from Golden Ocala Golf and Equestrian club and easy access to the winter home of HITS(Horse Shows In the Sun). Cattle are currently grazing these lush pastures and the land is an established income producer. If you are looking for a premier site in Ocala's northwest, plan a visit to cruise this unique property. Along with an improved was features. Inspired by the nature, this 2-story cedar charmer is a unique private waterfront get away on 123.43 +/- acres - perfect for a little R and R. The large deck overlooks water, wildlife, and woods, while the beautiful Arizona stone fireplace sets the mood in the great room. Downstairs is the family room embellished with Mexican tile floors, professional-equipped carpeted gym, plus ample space for a full bath and a laundry room. Detached inspirational studio and double garage provides plenty of space for your hobbies. The stunning landscape, open BBQ, patio and 300 foot dock complete this package. Adjoins the Ocala National Forest on 3 1/2 sides. Located just five minutes to the grocery store and restaurants. Beautiful 10 Acres with magnificent Granddaddy Oaks and great building sites. Bring your plans and pick your site. Equine Estates is a gated equine friendly neighborhood with perimeter bridle trail, adjoins the Florida Greenways and Trails and located across the road from the Florida Horse Park.